TXPQ will be showing what makes Textpattern so cool and who makes it so cool. WeLoveTXP.com is already doing that and in fine style! It's creator is the very busy web designer Sam Brown. Enjoy! SB In the mid-to-late nineties my father gave me a book on HTML and I read it from cover to cover in no time at all, I then started picking apart the code of sites on the internet and built my first personal web site with notepad. Admittedly it was full of horrible colours, tiled background images, scrolling text and animated gifs! Thankfully I don't have a backup copy of it that may haunt me. SB A lot, mostly for clients but I do have a vast array of personal and project sites. 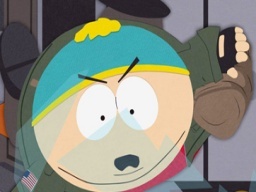 I have been running a South Park fansite for the longest time, since February '99 that has seen many iterations and saw a move to Textpattern in 2005. Other projects include Sidepath, Peppermint Tea, my business/portfolio site Massive Blue and personal site sam.brown.tc - all of course running on TXP! TXPQ As a professional, are there things you would never do, but which you see amateurs doing? SB Tableless standards-based design is something I would like to see 'amateurs' do more of, and not placing Google Ads on every page of their site from the get-go. That pains me. TXPQ Do you use any tools to make web designing easier? SB Coda from Panic has recently improved my productivity tenfold with integrated coding, previewing, ftp and even reference books. I forget how I managed without it. SB I started using Textpattern in mid 2004 when the Gamma was released. The first I heard of it was when Jon Hicks started using it on his blog. SB I had previously been using Movable Type and have been known to dabble in WordPress on several occasions. 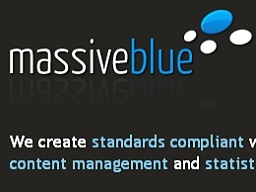 great community SB The general ease-of-use combined with the fantastic templating and plugin architecture really sold me on it as a fully-fledged CMS that I could deploy on my clients and my own sites. The continued growth of Textpattern and the great community around it makes it easy to justify. TXPQ How often do your clients need Textpattern or similar? Are static sites no longer suitable or just not in fashion any more? SB I almost always without a doubt launch a new site for a client with Texpattern running behind the scenes. Even if the client isn't looking to update the content themselves I feel its worth spending my time to power the site with Textpattern, that way if the client comes back and either wants me to update the content or wants a CMS, it is already in place. TXPQ Do your clients love the ease of a Textpattern system? SB There have been no complaints yet, it really is one of the most simple ways to allow a client with little or no knowledge to update their own content, even tech-savvy clients are more than happy with the feature-set Textpattern offers. TXPQ Do you use many plugins? SB Yes, a lot, but it really depends on the needs of my clients. I find myself installing zem_contact_reborn on just about every Textpattern install though, as this is a must have in my opinion. I use several of Alex Shiels' plugins and highly rate the plugins of Mary Fredborg, Rob Sable, and Andrew Waer to name a few. TXPQ WE LOVE TXP looks good and features all kinds of web sites. What are your thoughts about the site now it has been going 3 or 4 months? SB I am very happy with what the site has become, 275 sites to date and more being added on an almost daily basis there really are no signs of the submission rate slowing down. Look for big things from We Love Textpattern in the not too distant future. TXPQ Have you noticed any common themes such as design features, plugins used or topic of the TXP powered site? SB Blogs and personal sites are very popular, as well as small-to-medium business sites with a half-dozen pages or so. I find myself building a lot of these types of sites for my clients too. TXPQ Have any sites really struck you or blown you away? SB The recently redesigned Carhartt Streetwear site really blew me away. For such a high profile site to be using Textpattern is great. I believe a lot of custom development went into the final product but it only proves how flexible the CMS is. TXPQ What are your highest hopes or future dreams for WeLoveTXP? SB There is a lot more to come, I hope to keep showcasing as many Textpattern powered sites as possible. TXPQ We hope so too, Sam. Thank you very much for sharing your time and experience with us. Much appreciated! Even if the client isn’t looking to update the content themselves I feel its worth spending my time to power the site with Textpattern, that way if the client comes back and either wants me to update the content or wants a CMS, it is already in place. Totally agree. It’s faster and easier to develope and maintain a site using TxP, even when your client doesn’t even know it’s there, behind the curtains. Damn, looks like I’m gonna have to take Textpattern for a spin. Are the themes as nice as WP’s? You might find a theme you like at textgarden.org and try hcg_templates for installing some of the themes. Textpattern is really for those who know html and css so you can make your own theme. You can’t beat making your own design for lasting satisfaction! If you prefer it all done for you, then stick with WP, Maxwell. WeLoveTXP rocks – keep up the good work Sam!